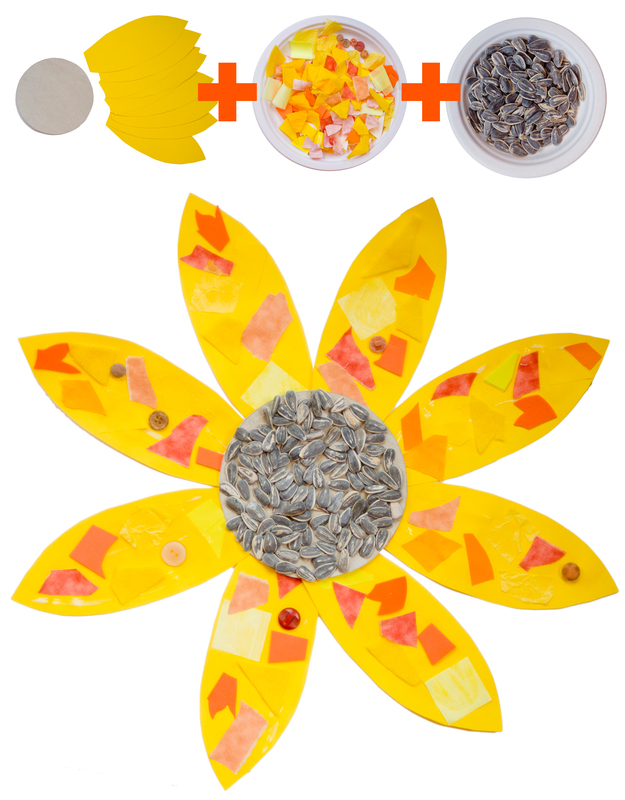 Create a simple, collaborative project with the kids – inspired by Van Gogh’s Sunflowers. Let each child create one petal of the flower: by gluing the different yellow/orange pieces of paper, fabric and foam onto it. Then put all of them together to make one big sunflower (or several smaller ones) for a class decoration. You can even glue real sunflower seeds into the middle. It’s a great fine-motor skill exercise and you can use the time to explain the different parts of the flower to the kids. This entry was posted in Art Projects and tagged art, ArTree, education, preschool, sunflower, van gogh. Bookmark the permalink. This is so cute! I am working on plans for our upcoming art theme and I may have to borrow this one. Thanks for sharing!